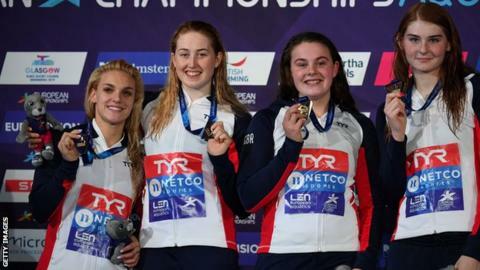 European gold medallist swimmer Ellie Faulkner has retired at the age of 25. Faulkner won 4x200m freestyle relay gold at the 2018 European Aquatics Championships in August. She represented Britain at the 2012 and 2016 Olympics, and in April won her fourth Commonwealth Games bronze. "After an amazing career, I have made the decision to retire," she said. "I achieved so much more than I ever dreamed of and walk away with great pride and a love for the sport."